Some people are realizing now that less is more, and are also being convinced that smaller houses are better as they can be portable and be moved when you want. 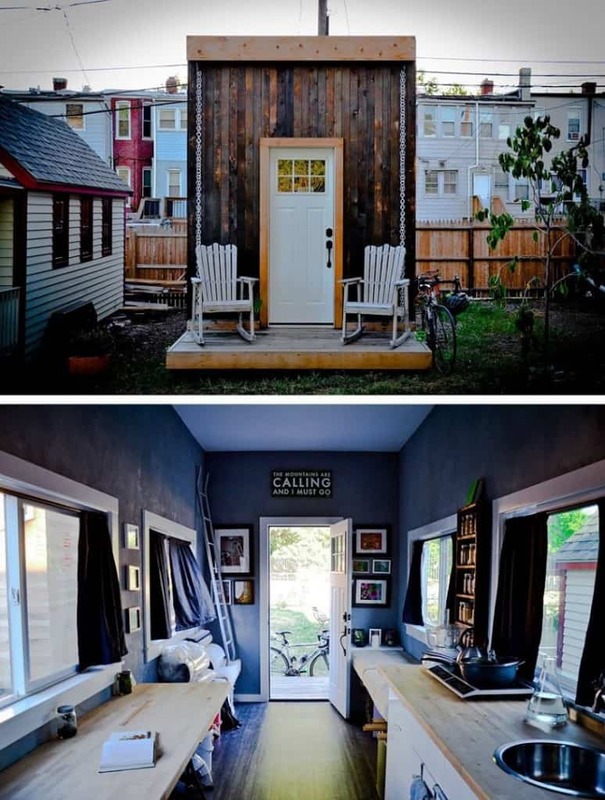 Some have built their own houses, and have designed them to be very tiny, either just because it’s easier and takes less time to build or because they want to travel and be able to live in a home as well. We’ve put together a list of 20 Of The Smallest Houses In The World, to showcase these tiny yet amazing houses. Going through a divorce is a difficult, heartbreaking experience, most of the time it can bring you down and you feel as if you don’t want to do anything anymore. Other times it pushes you to become a better person. That was the case for architectural designer, Macy Miler. A few years ago, Miller had gone through a divorce and was facing foreclosure on her 2,500-square-foot home. 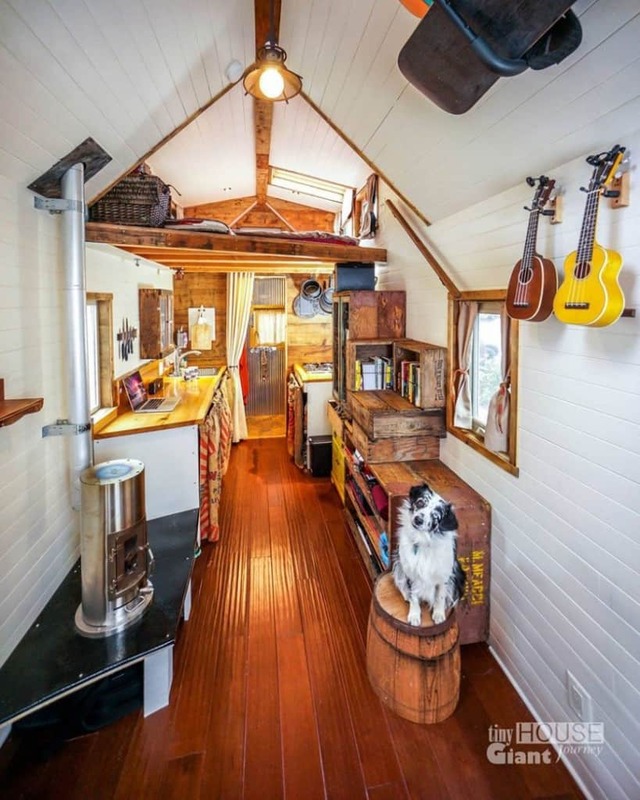 She then put $11,400 into building this small, 196-square-foot house, that she now shares with her partner, their newborn baby and their Great Dane. 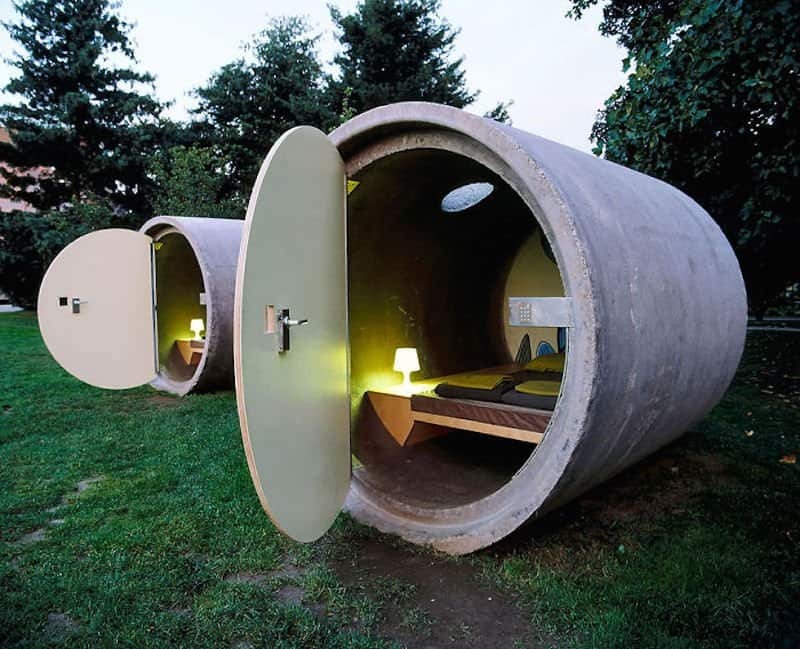 Not exactly a house, but this small round concrete thing is actually a hotel room at a hotel called “Das Park Hotel” located in both Austria and Germany. The rooms have a double bed, next to the beds are small storage areas that contain more pillows and sheets. They have placed outlets in them for electronics, and there’s a small space under the bed that is used to place customer’s luggage. This yolo cabin, is located on a farm in Yolo County, California. 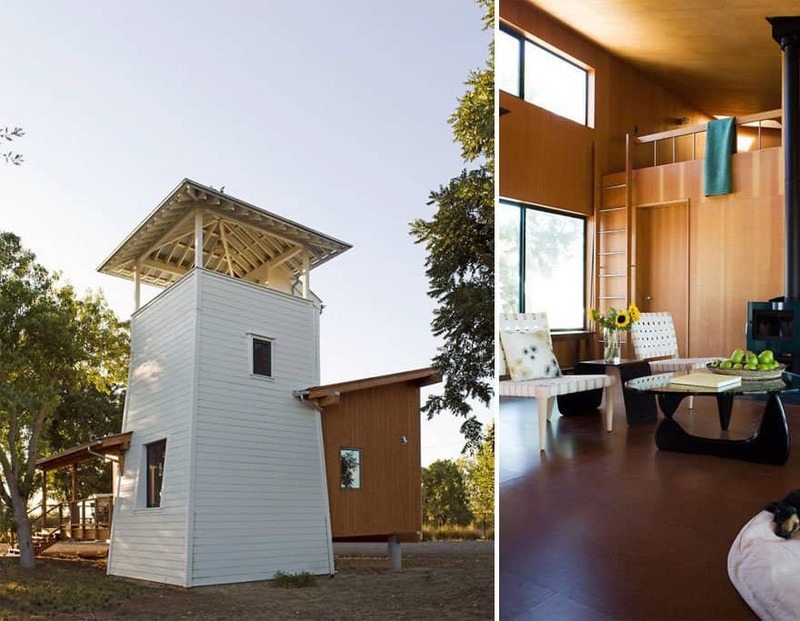 The inspiration for this cabin came from the local water towers in Yolo County. The main part of the cabin is elevated off the ground to circulate the air on hot nights and to also enhance the view. The cabin is also supported by glulam beams, so that it can be moved if desired. 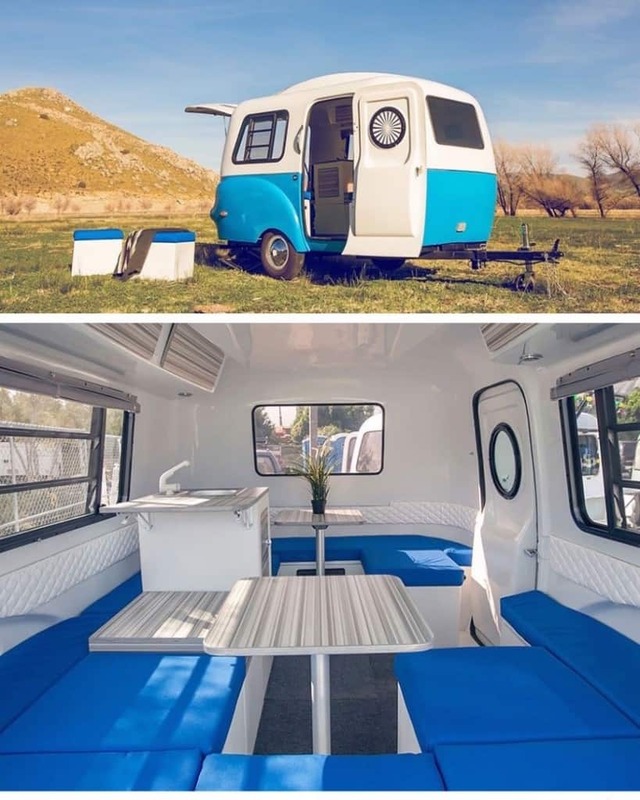 A few years ago, a young couple decided that they were bored of their jobs and wanted to pursue their dreams of becoming travel journalists, so they quit their jobs and thought that it would be a great idea to travel in a house they had built themselves. 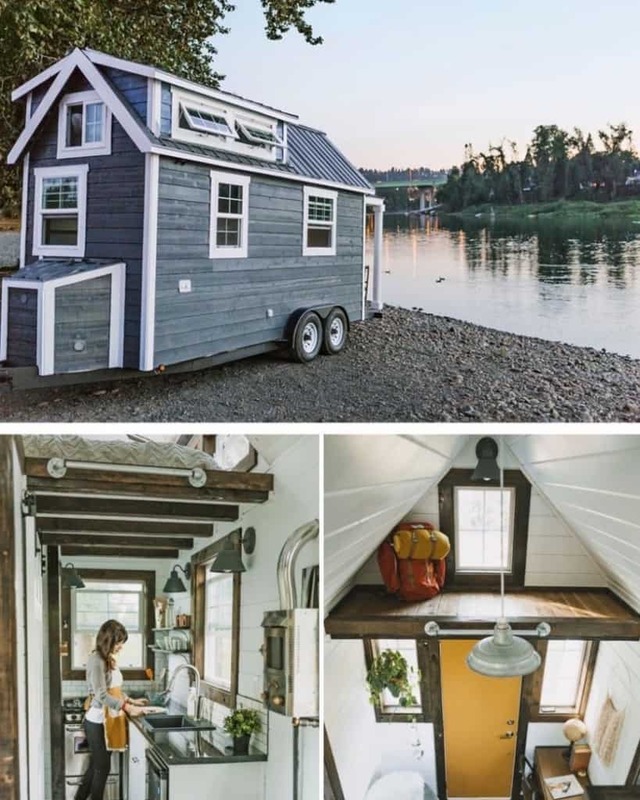 So they built this small travel house, moved out of their normal-size home and hit the road. They have said that they aren’t sure what they want to do when they have finished their travelling, but have also said that if they don’t lose much money doing this, they would love to continue it forever. 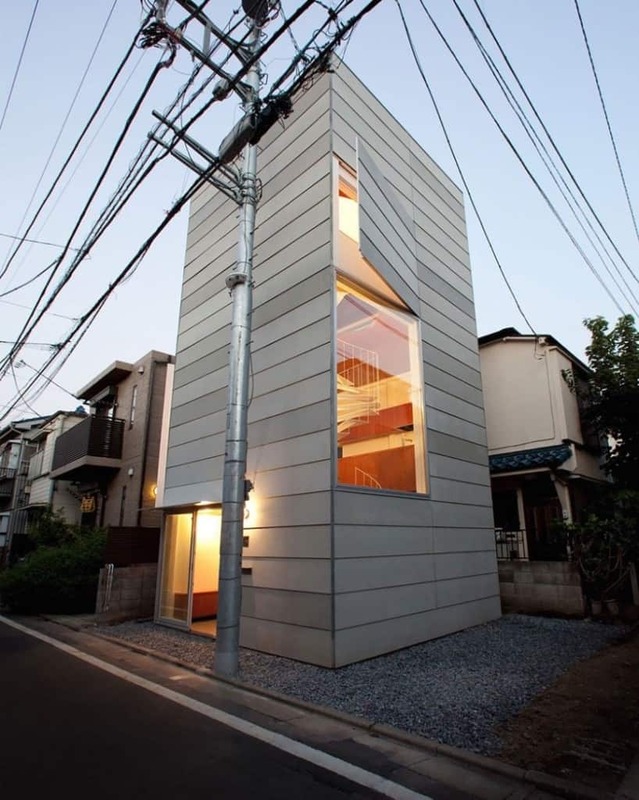 Designers of this house took the challenge to build this house for a married couple and their new born child, on a small lot in Tokyo. The vision that the architect had for this house, was to exceed the physical narrowness of living in the city. The only major problem to this house is that you have to go up 4 floors, just to go to the bathroom. A lifestyle artist, photographer, and rogue bureaucrat, Jay Austin, decided to build a “harmonious home” and resulted with a 140-square-foot home, entirely carbon-neutral, off-grid, and is self-sustaining, that he calls “The Matchbox”. 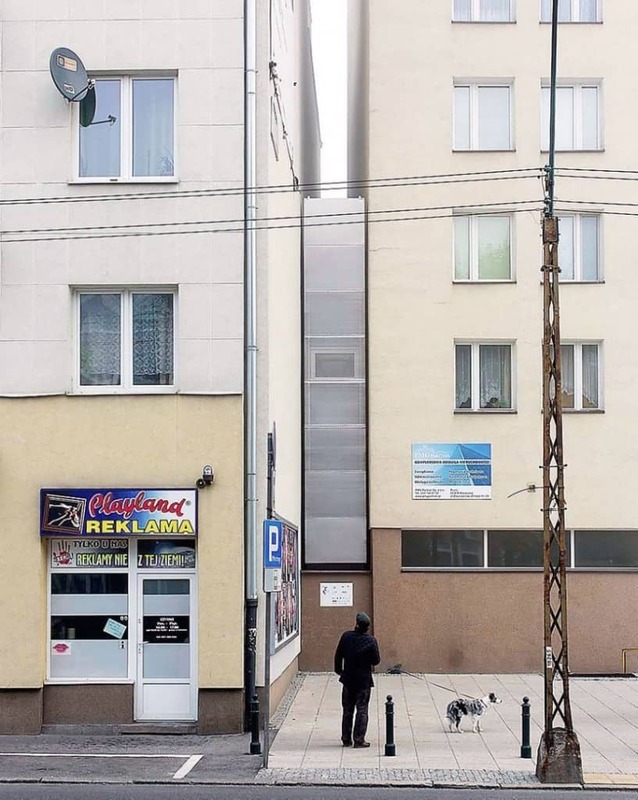 The keret house, located in Warsaw, Poland, has been built to sit between 2 old buildings that represent different historical periods in Warsaw history. 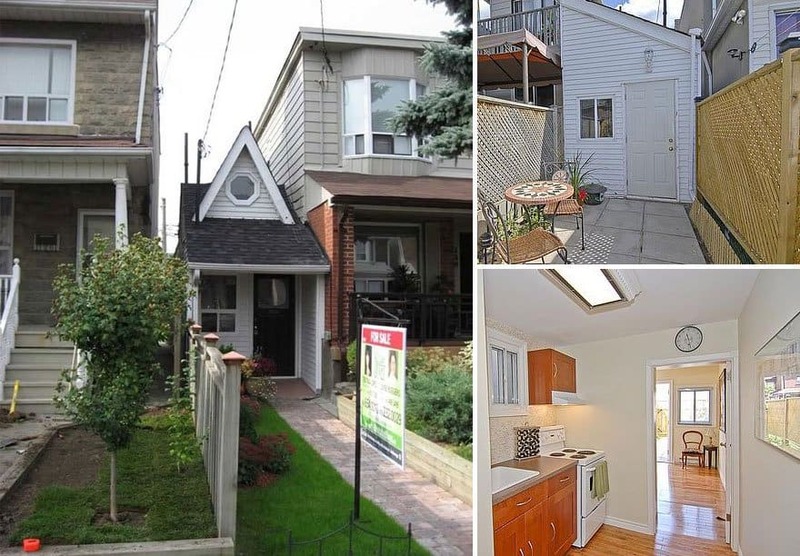 The houses widest point is just 122cm, with the narrowest point being 72 centimetres. For a thesis project, a young architecture graduate student decided that he would rather build something that was real and had a practical impact, than something that was just drawn and imaginary. 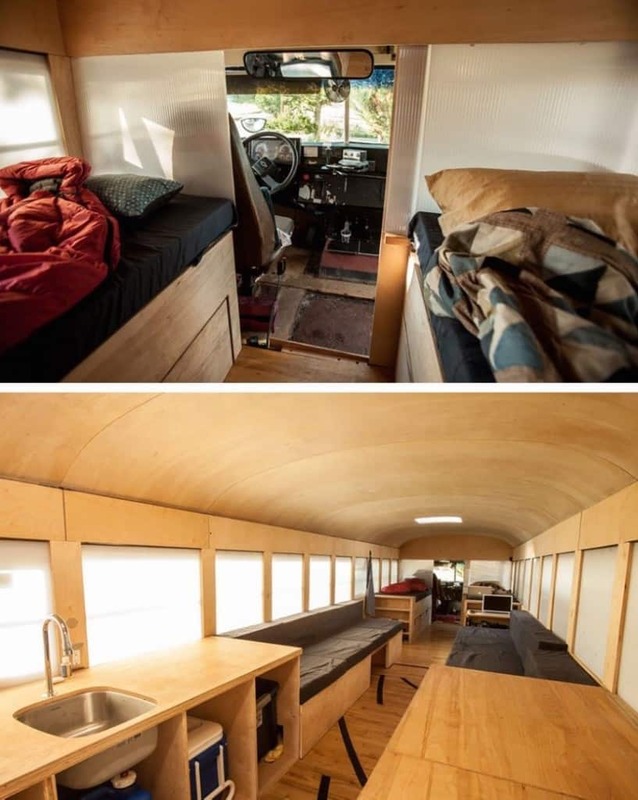 So he asked friends for help, and converted an old school bus, that he had bought off of craigslist, into a mobile home. The bus now has a kitchen, bathroom, sleeping area and the floor of the bus is now covered with wood that was salvaged from a gym. 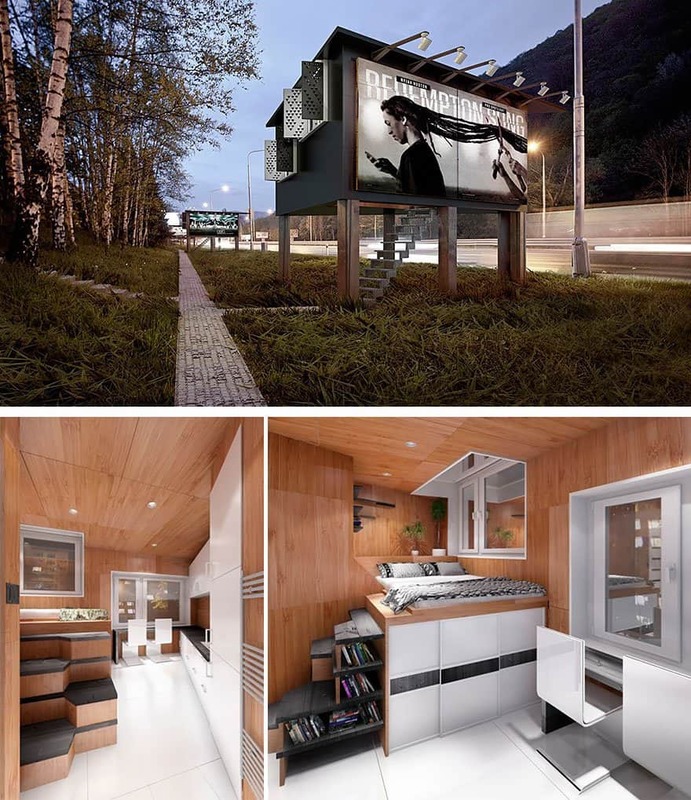 Homelessness has been a big thing around the world for many years, and in order to help them an architect came up with the idea to build small houses in billboards. The small homes will be built to have two rooms, a kitchen, an office space, a bed with some storage underneath, and even a bathroom. Although the houses have not yet been built, and we have only seen digital plans for the houses and what they should look like, it is still an amazing idea. A woman turned a Catskill hunting cabin, into an amazing Victorian cottage that she had always wanted. 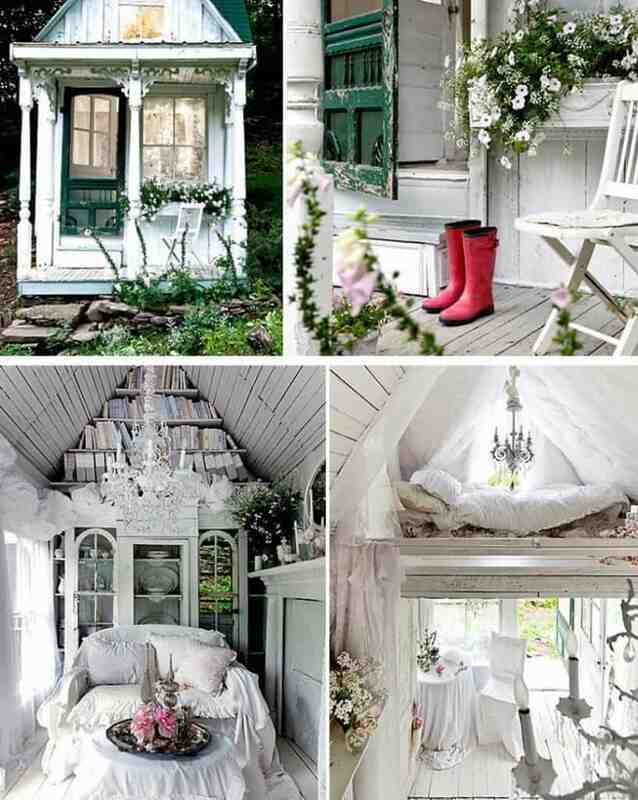 The tiny cottage may not have a toilet or a kitchen, but it has everything else that is needed in a house. The lady extended the outside, front porch and replaced some tree trunks that were holding up the roofing of the porch with antique columns, she then painted in white and green. 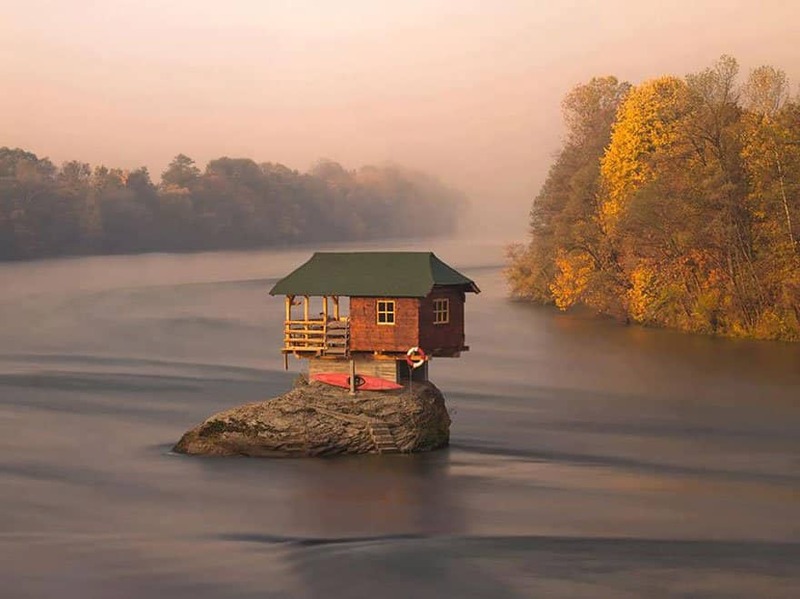 This small house has been balancing on a rock and surviving through all of the weather changes for 47 years. In 1968, a group of young swimmers rested on this rock and decided they wanted a more comfortable place to rest. Wanting shelter from the sun they began to build, however it didn’t become a house until the following year, when one of the swimmers turned it into a one-room house. 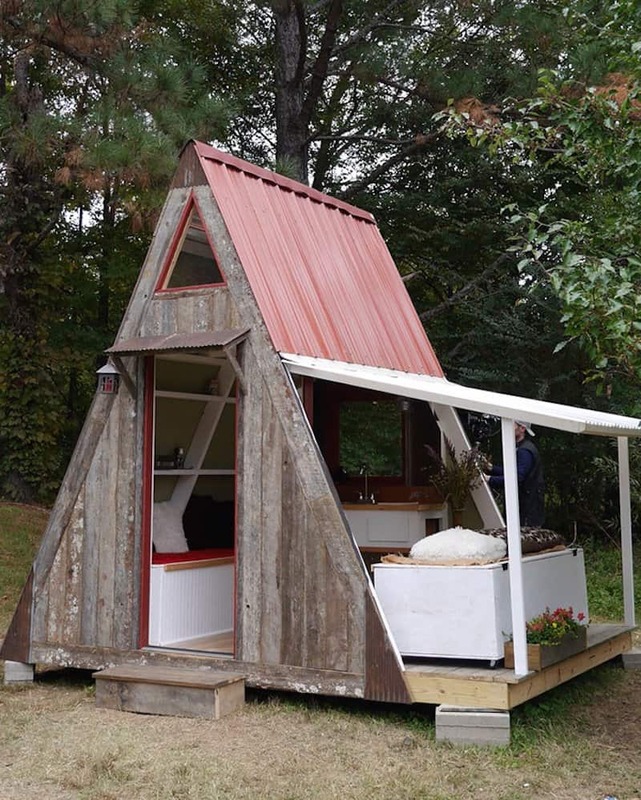 Being bored with his own work, the architect for this small a-frame house decided that he wanted to do something different, something that was similar to a holiday cabin. With that idea and the help of a friend, they came up with this small house. 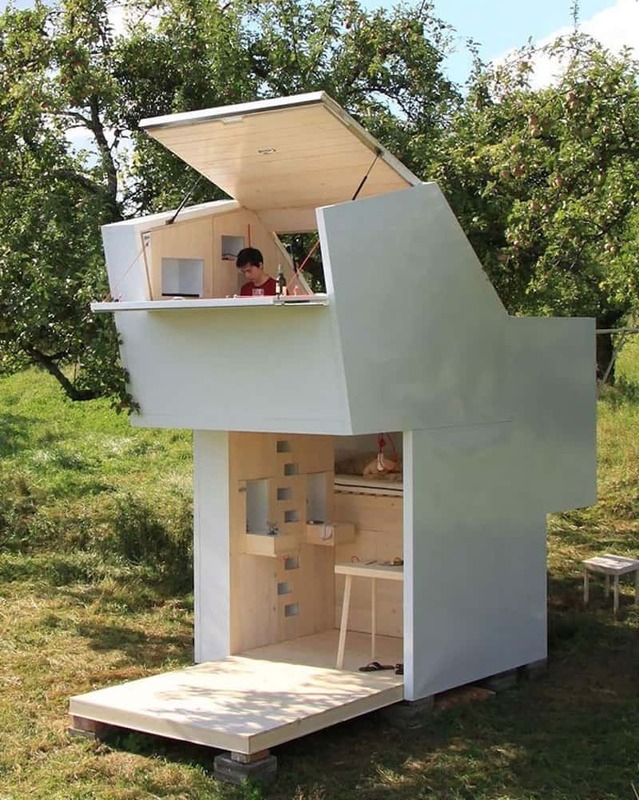 A group of three students designed a relocatable dwelling for one person, whilst building, they thought that it would be a good idea for it to be a spirit hut, meaning it would be placed in a secluded, rural setting to give the occupant quiet time in order to contemplate and self-explore. 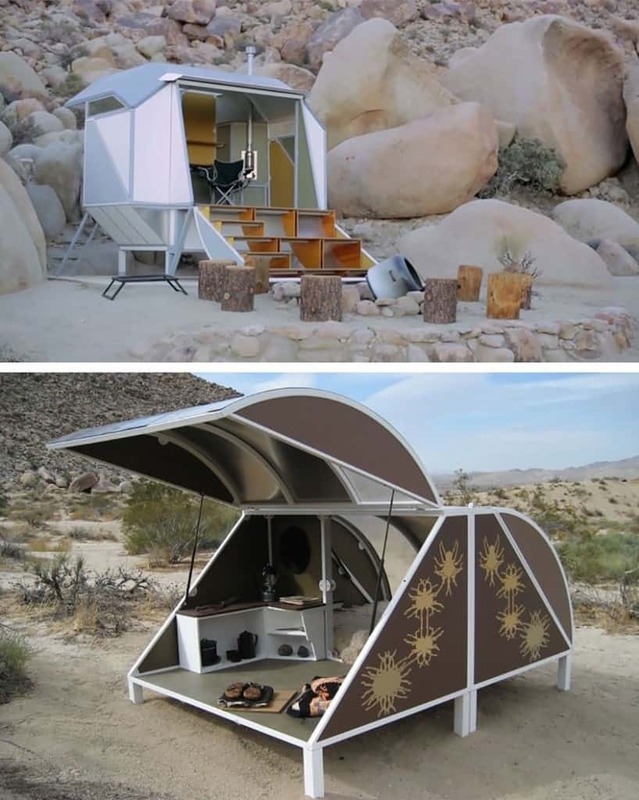 This small portable house, that is similar to a caravan, has been being designed for almost 5 years. The Happier Camper, has designed this for campers that would still like to be able to cook, wash their hands in a sink and use electronics whilst camping. Next to a National Park in California, is a Wagon Station Encampment. Within this, they have placed small sleeping pods around the camp site, each of them have comfortable mattresses and bedding, they can also be locked at night and contain small doors for ventilation. A short walk from the sleeping pods, there is an outdoor communal kitchen, an outdoor shower and composting toilet. This small house was built in 1912, the builder of the house had noticed that there was a space between the two larger houses and thought that it would be a nice idea to build a smaller one, after building the house, the builder and his wife lived in it for 20 years. The house has everything that is needed, a pull out bed, kitchen, laundry, lounge room, etc. Then house even has a small back yard. 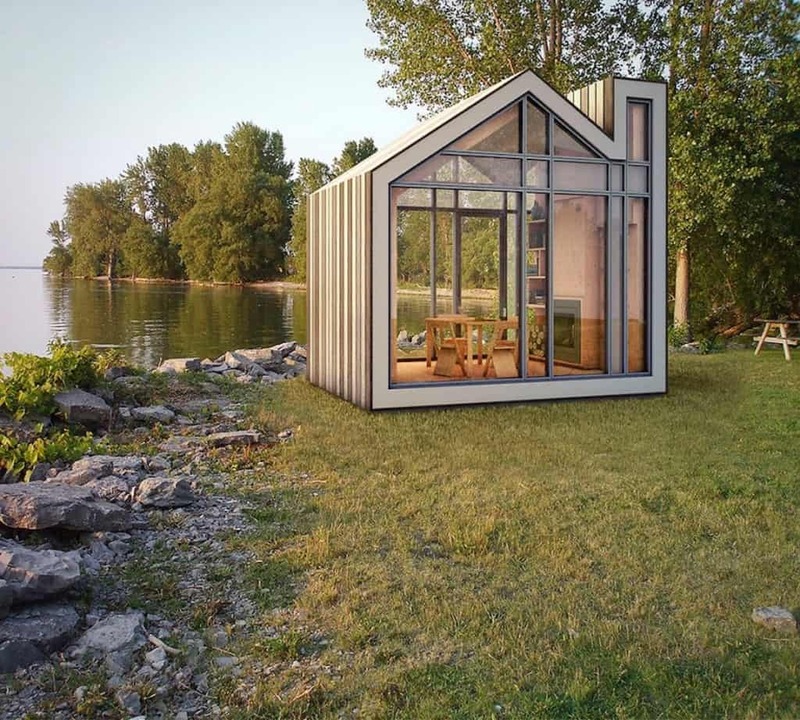 A designer had an idea to construct a cabin, coming up with what they call “The Bunkie”. A small one-room adobe. 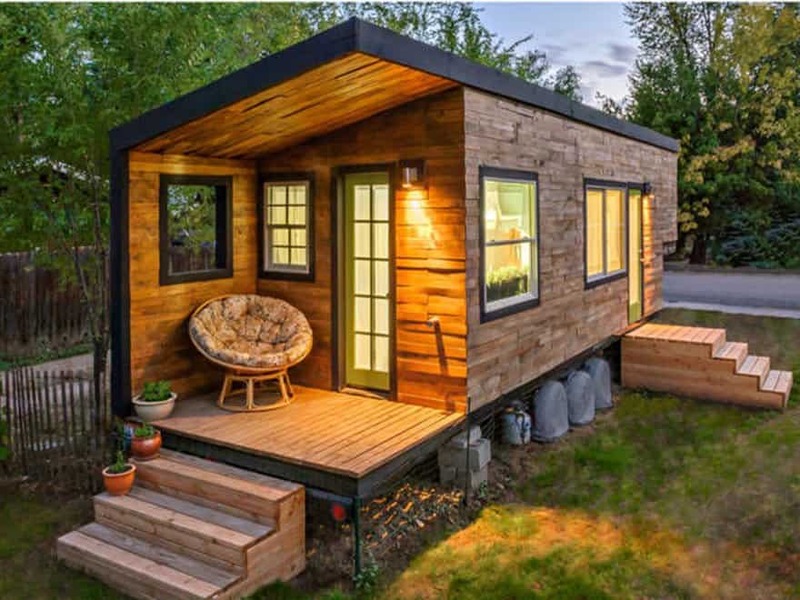 This small home is designed to maximize all available space and can also be customized to its intended use, which can be either for sleep or play. The one’s that are built for sleeping feature two queen-sized beds built into the wall. Whereas, one’s that are built for play come with small dining tables that are integrated into the main feature wall and can be detached. For those that look for something for recreational use, they have also made an “open” design which gives access to open space and can be used for yoga, aerobics, reading, meditation and even Twister. In Finland, it’s said that you are allowed to build a small dwelling without a permit if it’s less than 96 – 128 square feet (depending on the location). In 2010, a designer made up his mind that he wanted to build his own house. 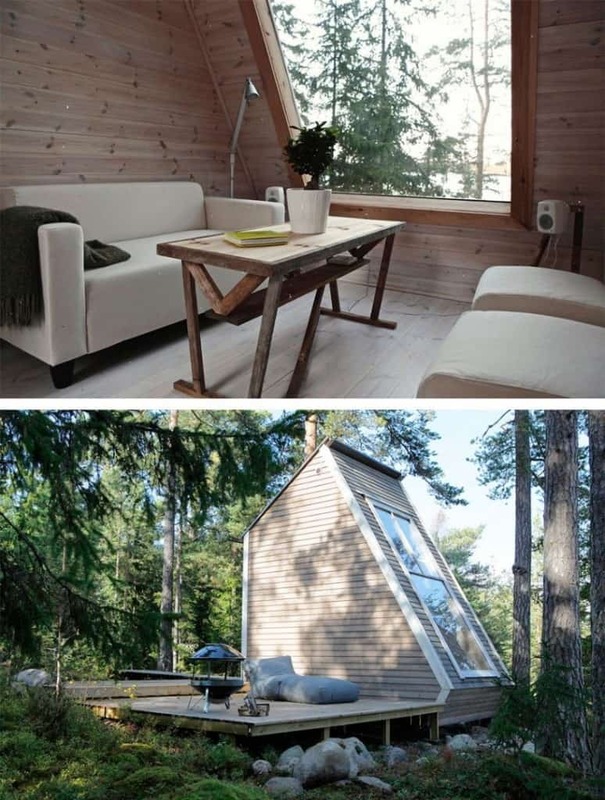 Whilst hiking one day the designer found a perfect place in the woods for a cabin, however knowing that he would not be able to build a normal-size home in the space of 6 months to a year, he decided to build a small home and only took 2 weeks to buy the required materials and build. A company, Tiny Heirloom, has designed a small portable smart home, the home includes hand-free lighting, voice activated door locks, automated thermostats, auto-leveling jacks, tank level indication, propane level readings and bluetooth surround system. Unlike other trailers or portable homes, this one is small enough to be considered a travel trailer and does not need a permit to move it. 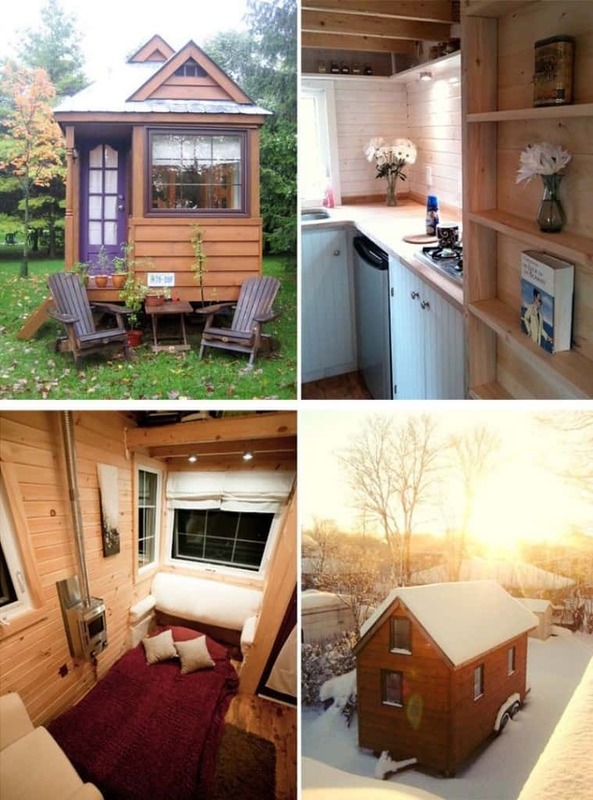 In 2012, a couple decided they wanted to build their own home on a trailer, so they researched and found a tiny house building website, went through their designs and used one of them with a few adjustments. Building their own house was great, as they have now lived in the house 3 years. However, after all the hard work they have put into the building, they recently announced that they’re starting a family and have had to sell it.